For the last two years, Brexit has been at the centre of European politics. For people from outside the UK like me, the whole thing looks quite confusing, messy, almost like a mistake. But do the people here feel the same? 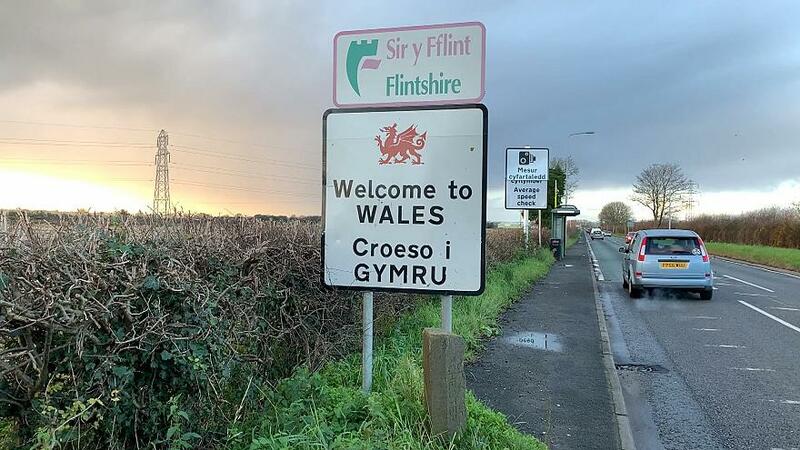 I travelled to the border between England and Wales to talk to people, to hear what they really think about Brexit. Hitting the road we head to Chester. The English city, with a population of around 100,000 people, is located close to the Welsh border. In 2016, it voted to leave the EU, but by a very thin margin. It was only 50.7% of the people in Chester who voted for Brexit against the rest who voted to remain. Jacky, who owns a stall on Chester’s traditional Christmas market voted leave two years ago. She still passionately believes it was the right choice. “I don’t like the politics, I don’t like the unelected people, telling us what we can and can’t do. Who we can trade with, who we can’t trade with. We are just giving them money, after money, after money and to me it seems we are not getting what we paid for,” she tells me. A cook working at a fast food stall next to Jacky also tells me that he has no regrets about voting for Brexit. When I ask him whether he still thinks it was the right choice he says he has no doubts and believes much of the warnings over the economy post-Brexit are, as he puts it, ”just scare-mongering”. Of all the people I spoke to who voted for Brexit, there appeared little concern over the events in Westminster and the forthcoming vote in parliament over prime minister Theresa May’s withdrawal agreement. Determined to find some remain supporters, I set off for a place where people practiced a hobby I had rarely heard of and where I was assured I would find remainers – line dancing. We arrived during the middle of the class. Asking who had voted to leave the EU, the divide between supporters and opponents of Brexit seemed evenly split. More interestingly, despite all the political turmoil over the last two years, those who had voted remain supporters thought the 2016 referendum should be respected. Despite the EU-UK divorce dividing Britain along many lines, no one I spoke to had changed their mind. Just like Charlotte, a swimming instructor, who remains deeply concerned about what the future might hold. “Obviously the import rates won’t be very good. Loss of jobs and unemployment rates will skyrocket. Trading won’t happen. And I just don’t think that there are a lot of positives that will come out of it. Other than we’re just going to be a stand-alone country,” she tells me. Continuing my trip along the border I headed into Wales. The nation, like England, voted to leave the EU. Interested to find out if Welsh voters felt Brexit was still heading in the right direction we visited a local pub to discuss Brexit over a pint with those who had voted to leave. “….the big thing was immigration. Not that I’m anti-immigrant or anything like that, but I just thought there were too many. And it was driving down wages and making people in this country poorer. So I believed in it. And now, Theresa May has this deal, but it’s a half-way house,” one pub-goer told me. Most of the so called Brexiteers I spoke to seemed to accept that there would be a short term economic hit once Britain leaves the EU, though the majority still believed it is the right decision long-term.